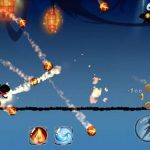 New mobile game Dragon Ninjas gives you a chance to assemble an invincible army against evil forces, as you try to destroy warriors from all over the world and strive to reconquer the greatest Empire ever built. 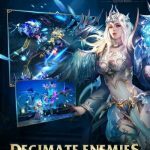 This is a game that requires a lot of strategy when assembling your troops and fighting the enemy, and allows you to crawl into dungeons, complete missions, and engage the enemy in battle in land and sea alike. There are also various types of monsters and enemies such as dragons, mercenaries, and legendary monsters, plus over 2,000 combinations of equipment for your hero. The game’s mechanics combine base management and turn-based RPGs, and it also includes player-vs-player MOBA mode, which means it really isn’t that unique in that particular regard. There’s enough in this game to set it apart from others in this class. 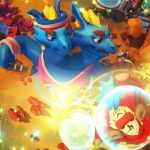 But don’t let that put you off on the game – we’ve got a couple of useful Dragon Ninjas tips, cheats and tricks that could assist you in building the best village out there, with the most unbeatable army. All troop classes in this game have specific types, meaning they have strengths and weaknesses you have to take into account. The units with the sword icon (Light) beat out those with the crosshair icon (Precision), while those with the crosshair icon beat those with the pentagram (Magic) icon. Pentagram units beat units with the anvil icon (Heavy). Keep this “elemental” system, if you can call it that, in mind when assembling your troops, and you’ll have a better chance of winning the battle. It’s great to have a lot of resources in store, but you’ll actually want to use them towards upgrading a building or buying new troops. Don’t let those resources go to waste, especially in the early part of the game; your storage buildings won’t have enough room at first, so any resources you win from battles or as tribute from village that can’t fit will get wasted. Swipe the left part of your screen while at your village, and you’ll be able to view your achievements. Achievements are like your usual missions, but with a twist – you will, for example, collect so much resources or complete so many missions. With achievements, you win gems, so keep gunning for them – gems, as we’ll remind you later, are the game’s premium currency. As your village begins to grow in population, you will, of course, need more huts to accommodate those villagers. With more people arriving in your village, that means more income coming in. You can also collect random resources from your villagers once in a while, and that could help you keep gathering resources. Build those huts and the people will come. The Altar of Gems is hard to miss – it’s that bright purple building that creates gems. But there is a catch to this gem-producing ability of the Altar; you can’t expect it to keep churning out premium currency without anything in exchange! You’ll need special items in order to activate the Altar, though you’ll get a free pass for your first time at the Altar. Activate the Altar of Gems once you begin playing for the day, as it’ll take a good three hours to complete the first batch of gems. If you’ve got enough resources, you’ll want to keep busy and make sure you’ve got some activity in your dojos. Units should always be training in those buildings, but you shouldn’t train one specific type of units alone; it’s just not practical to train basic, run-of-the-mill ninjas all the time. You need a balanced lineup of troops, especially in the latter stages, so be sure you’re training all types of units.